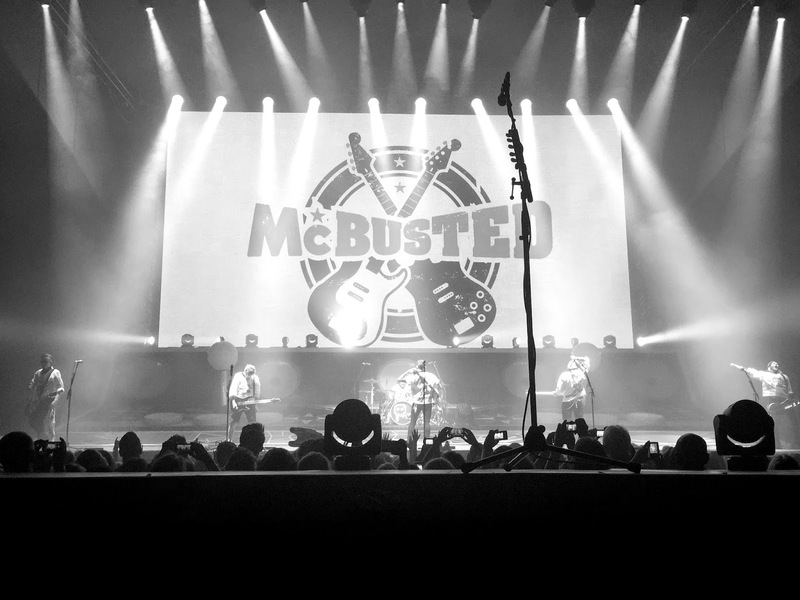 If you’ve been around these parts for a while now you will know that I have already done a what Lucy saw post on McBusted, which you can view here. That was last year on their first ever tour as a band, they came back this year with yet again another incredible show so I thought id share with you my photographs from the night and a run down of how amazing the night was. As I said last year, my 10 year old self was so excited by the fact the Busted and McFly joined forces to create McBusted. I was even more excited to watch them again in my home town, they are possibly the best people I’ve ever seen live, they put on such a show and get everyone involved. This time around we managed to get front row tickets and it made the night that little bit more special. They opened the show with Air Guitar which is one of my favourites from their debut album. They played a mixture of old and new songs, including You Said No, Get Over It, Crashed The Wedding and Star Girl. The boys perform with so much energy and enthusiasm, it’s like they’ve never been apart. It is really hard to believe that Busted and McFly used to be separate bands, the boys have connected so seamlessly, its a pleasure to be able to watch them. My favourite part of the night was when they sung Riding On My Bike, James actually rode a bike at the back of the stage whilst singing. I love that song and it was so cute to actually see him ride a bike around the stage at the end. Half way through the night the boys got into a time machine car and appeared in the middle of the audience, they sung Air Hostess and my favourite song Beautiful Girls are the Loneliest. If you can still get tickets I would highly recommend going to see the boys because they put on such an incredible show, I would have been sad to have missed out. Have you seen the boys live? Did you enjoy it? Do you wish to see them? Let me know in the comments below.